@snowflake56 – just listened on the radio to an interview with a wonderful elderly lady, Dorothy Bomh, a street photographer who has an exhibition at the Museum of Childhood just starting now. @beedoo you might enjoy it to especially if you’re thinking of going soon. Below is a link to a recent interview/documentary with her. Just wanted to share whilst in the moment. So…day one or one day? Happy birthday @ClaireSuzanne. This is your month! Good luck! @beedoo – I didn’t get the memo either. I’ve been waking up at 6.30 since the clocks went back. Not as bad as 4.30 though! 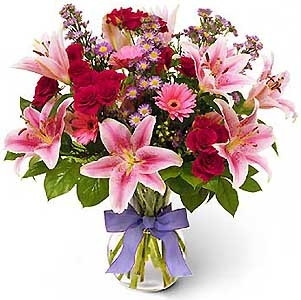 @judyjudes – hope you feel better soon. Thanks to @basyjames for hosting November . I have added my details to the spreadsheet and looking forward to a good month. Lost the plot a bit towards the end of October but somehow managed to end the month 4 pounds/ 1.8 kg down. Feeling re-energised for the November challenge! Thank-you @basyjames for taking over the reins this month, it’ll be a critical one in preparation for Xmas!!!! A little bit about me – I’m a civil engineer in my mid 40’s working part-time in our head office – my site days are well & truly over!!! Today marks my 2yr anniversary on this WOL (Way of Life) and a total of 41 lbs eradicated. I don’t know any other way apart from ‘slow & steady’, this works, I’ve NEVER felt deprived, I HAVE had chocolate, wine, cake, bread & more wine!!! However, my tastes have changed and although I still have those things the quantities & quality has changed and I find myself making better choices, not because I have to, but because I WANT to, don’t get me wrong ……………. I have eaten fast food on numerous occasions, but the ‘feel good’ factor diminished each time, so I continue with the brain training without guilt or self loathing!!!! So last month there was this dress I HAD to get into, so I was focussed, determined, booze free and 30-day shredding like a pro!!!! The resulting 6.8lbs down was shocking to me, even though I weigh daily & I live on the plateau 90% of the year!!! So this month, again I’m not setting a target, but I’m sticking to the basics of 5:2, no 4:3 or ADF weeks unless there’s a catastrophic gain!!!! Also, although not booze free, I WILL be mindful of just how fast booze can put the brakes on my weight loss!! !I’ll continue with the exercise and maybe, just maybe I’ll be able to actually do 30 days of the 30 day shred in a row ……………… I did say maybe!!! Welcome newbies, I’m looking forward to getting to know you all, you won’t regret joining us here, you’ll find some sound advice from our super successful members like @at and @songbirdme who are both ‘maintaining veterans’, I’m aiming to join them in 2019, no hurry, slow and steady like a true member of Club Tor-Twah………………….. we ALL join the tortoise club at some point, DO…. NOT…. PANIC!!! I feel a FD coming on tomorrow because it’s going to be a busy Friday and the soup & bone broth are in the fridge; easy!!! Onward & downwards folks & Happy fasting!! Hi friends old and new, love a day one! @basyjames thank you for hosting. I’m 59 and have struggled with my weight since childhood. In July 2017 I began yet another diet: Michael Mosley’s Blood Sugar Diet on 5:2 and by May 2018 I reached my goal and started to practice maintenance! My weight is now at an all time adult low and I feel confident that this time I can control my weight forever….I just need to continue with 2 FDs of 800 calories on Mondays and Thursdays….simple!! There is something about the discipline of 5:2 and being with this forum that has helped me get my head straight regarding my relationship with food. @claire-suzanne Happy Birthday! Hope your first day in the new job is going well. Wishing everyone an enjoyable and successful November…..Together we are stronger. @judyjudes I hope it wasn’t anything seious and you are ok now? Had too much candy last night to have stayed under TDEE. Hope to do better today. Brought a lot of leftover candy to give out at work but since have a 9 year old at home, left some for her to enjoy. Her school gave her a homework assignment for Halloween. Write done the type of number of each candy she got and they are going to make charts of it. I’ve lost 20k since April. Only another 22 to go so it’s a long haul. It brought it home to me a week ago when we flew to Spain. My baggage allowance was 20k and I went to the limit. In other words my case weighed exactly the same as my present weight loss. Have you ever tried carrying a 20k suitcase for any distance? I know that 20k was spread over my body but, my legs, ankles and feet have been carrying that suitcase for a few years. What an incentive for losing another full suitcase! Best of luck everyone. We can do it. @judyjudes you can add your current and target weight in the spreadsheet as well as your goals. Some people find the spreadsheet to be a helpful tool for weight loss, some people don’t use it. I fall into the latter category because it’s not very convenient for me. @shinything I edited the spreadsheet on my phone, and you are right – the weekend dates may be off because I was trying to do it on a teeny tiny screen, I will fix that when I get home and can view on my laptop. Thanks for the cross check! @flourbaby that was inspiring, thanks for sharing. I also found that I stepped off the plateau and started losing weight again when I went back to basics of 5:2 and stopped my habit of multiple B2B FD. @badgertastica that’s a powerful visual. It’s a huge incentive. Yesterday’s decisions are long gone; today is wide open…what will you choose today? I haven’t gone away, just trying to deal with one of life’s curve balls. I have missed the inspiration found here and one of my goals for November is to make sure I check in here more often. I have neglected these challenges somewhat and I miss the laughs and the empathy of all involved. Ok so I am going through a bit of a tough time – I’m not the only one to have a tough time and I need to get things into perspective, boo hoo, crying party is over, it is not going to go away so I just need to get on with it. It is my reaction to this tough time that counts. I need to look after me and put me first and not eat my emotions. October for me started out well, took a little wobble, recovered and then I lost the plot. It is when I lose the plot the damage is done and I find it so hard to get on my feet again but get on my feet again I will. I have found it so hard lately to have what I deem a good fast day – they start out well but then it goes down hill and then perfectionism rears its head, well you may as well have X Y and Z when really if I kept track it may not have been such a disaster, it could have even been a 800 instead of a 500 or I may have been over my allowance by a little but when I throw the head up and eat all round me – well over by a little becomes a lot – why oh why? So November I will endeavour to keep track of both Fast days and non fast days and to ditch the toast and marmalade that has become somewhat of a habit this month, if it’s not that, its the dreaded midget gems. How much do I want November to be a success? If it’s to be it’s up to me – no one else! Started the day with an early aerobics class then straight to cooking for our voluntary Fareshares lunch at the local parish centre – fed 42 people plus the kitchen volunteers x 6 – leek and potato soup – vegetable stew and apple crumble with custard! all from food given by our local shops to stop unnecessary food wastage! I am now nearing the end of my 2nd year in maintenance so aiming for November to be controlled and hoping to enter the festive season towards the lower end of my maintenance range ready for some indulgence! @claire-suzanne – Happy Birthday to you and good luck with starting your new job today too – hopefully it will be a good omen! Greetings one and all, especially newbies. I am one of the “OLDbies” here, in terms of years and time on these challenges. I began with @coda in May 2016 after having been on 5:2 for a 1 1/2 months. It had been working quite well, starting my journey at about 195# (on my way to 200 likely). I lost about 35# by January 2017 and have been on maintenance since then. I LOVE these people on all the challenges since then! I’m a retired music teacher who is still quite active in community and musical activities. ♫♪♫♪ I travel some to our 4 children in various parts of the USA. Have 5 granddaughters. @basyjames – thanks again for taking us on. Hope you and your cholesterol levels can become friends again! I do take krill oil daily for mine – it’s helping. MFP always tells me that the majority of my daily calories are fats. I love fat. Almost more than sugar! But do we know if that really effects our cholesterol levels? I think the jury is still out if it is diet or heredity. @claire-suzanne – “happy birthday to YOU!” Hear me singing? I sing a lot. In the spirit of a new monthly challenge and a reset, I am beginning this month with a water fast day! I don’t do them too often but I gone so over the rails with eating lately that I felt compelled to begin the month with a bang! Yikes! I ate too much Halloween candy last night. I can’t believe I did that. Started with just a couple snack size Reese’s peanut butter cups, and couldn’t stop before also consuming a few Kit Kats, Hershey bars, etc, and going way over TDEE. I put the rest of it in the freezer and will give to daughter, or make OH take to work. Must get it out of the house!! @claire-suzanne…Happy Birthday and hope you’re having a good first day on the job. @judyjudes…I hope it’s not serious, and you will soon be much better. @at…Happy Anniversary! And your story is inspiring, as always. @flourbaby…Happy 2nd year anniversary on this WOL. You are also inspiring! I’m going to try “dry till Fri” during November. It can only help. @coda…good to hear from you. I’m glad to hear you are going to put your needs and health ahead of others for awhile. You deserve good self-care! @basyjames…my cholesterol also went up when I started eating mostly LCHF, to about 240, but since my HDL is a whopping 75 and Triglycerides are quite low, my doctor is totally ok with it because the ratio is good. There really isn’t a family history of heart disease, either. I think it is accepted that LCHF will increase total cholesterol, which is not as important, to some doctors, as the ratio. Still, I expect to reduce my total as I lose more weight. I guess we will see. And thanks again for hosting this month’s challenge! My goals will be: to lose between 2 lb-4.5 lbs this month by doing 5:2 with two 500-800 cal FDs a week; and a few “under TDEE (1450)” or CFD (1200) days each week as well. “Dry till Fri” each week, except Thanksgiving Day. I’m also going to find a good low calorie soup or stew recipe to try for each week. AND I’m going to use the Marie Kondo method on my clothes and paper clutter. It’s time to clean out the old to make room for the new! Kids off school this week and we are staying with family now for the weekend so hoping to get back into the swing of things next Monday as lots of bread, stews, potatoes etc in store over the next few days!! I’m F54 with adult DD. I put on weight in three chunks over 11 years – longterm health issues caused reduced mobility, stopped smoking and hormone changes. This time last year I felt as tho there was a fat suit between me and the world, and between me and me. Some things can’t be changed and other things can, so I decided to eat my fat suit! I began 5:2 on 1Dec 2017 weighing 178lbs/81kg with initial goal of 140lbs/63kg, since revised to a range of 133-140lb. Goals for November – daily yoga & meditation, a good sleep routine and plain 5:2 with Monday & Thurs FD. I’d like to get down to 142lbs if I can, it’s a low I’ve touched and within touching distance of my original 140lb goal. But I’m going to make a concerted effort to stick to the basics for 30 days and see what happens – it’s only 30 days, right?! it’s my one year anniversary of this WOL on 1 December, so seems like a good time to focus. I plan to make time to rest, reflect and write this month, perhaps also see if I can get away on retreat for a few days. It’s been a full-on & hugely eventful few months and I’m in sore need of processing time. Still running alongside the wagon, but at least I’m nearby, eh? Happy Birthday to @claire-suzanne…hope your day has been super-duper! @at: 38 years….very happy anniversary to you both. @coda: good to see you. Hold your head up high, you’re among friends here. ((hugs))..
Me? I’m 65, work delivering the mail for my sins. Daren’t retire, as every time I have a day off or, worse, a holiday, I become (as my husband puts it..) an eating machine!! I use food for all sorts of reasons besides nourishment, sad to say. So, even if I don’t manage a FD I will hang around and maybe gain some inspiration. After all…two years ago I did it, lost 28 pounds and reached maintenance..only to undo it again. I had all the candy yesterday. I am so happy to have a FD Today. AT happy anniversary, enjoy your meal out!! claire-suzanne happy happy birthday and first day of your new job. Judyjudes, I hope you are doing ok? I am thinking about you. I do 2 500 calorie days a week. I used to try and not eat until 12, but I found, I have the same results if I eat 3 small meals. Once I hit my goal, I want to try 16:8 on my nonFD but for now, I am just plugging along. I forgot to say, Over the past month My DH and I have gutted the playroom and turned it into a workout room!! Today was the grand opening. We got up at 5:15, had coffee, worked out then came into work, we work together. I feel so great. So basically my first step in dealing with the hole being an empty nester. It is exciting to see how my next chapter is shaping up. Going for a 48 hour Liquid fast – today & tomorrow ending with a meal in the evening. Welcome to new friends and “old”! I started this journey in fall of 2016 at 245 lbs. I started quickly and then slowed so more into the tortoise side of things for a while. I have peeked at Onederland a couple of times, most recently yesterday morning at 199.4 lbs. I’m not where I want to be but… I’ve gone from a stuffed size 18 to a comfortable 14 – USA sizing. 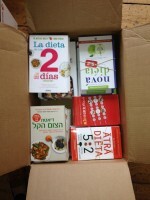 More recently I’m feeling quite encouraged having gotten rid of pounds from the summer as I packed boxes for moving. I think I was trying to eat as much of the pantry and freezer as I could. I just retired from full-time teaching and am adjusting to part-time Field Experience Supervisor with a local university in my new adopted city. I’m excited about this next chapter of life! @claire Suzanne – Happy Birthday! and all the best on the first day of your new job! @cornish-jane – you’ve dispatched a lot of weight! You encourage me! When did you start this journey? @judyjudes – hopefully you’re doing okay and that it’s nothing serious. @Daffodill2010 and Debster251 – fireworks on Hallowe’en, interesting. I didn’t hear any here in Washington. Is this a custom in your country? @missybear – Wonderful – reaching your goal in 10 months! How much did you lose? @Murphy58 – great that you and your DH created a workout room as part of your next chapter as empty nesters! Have a great beginning of November! Complete with mojo I am on the wagon for November! Starting the month with a short/modified FD, so it probably doesn’t really count, I started fasting at around 4am after my night shift ‘dinner’, will try and go til about 10am tomorrow. Quick intro…45yr old Australian expat, living in Finland for 14 years. Don’t remember a time in my life where I haven’t been dieting or felt unhappy about my size, which has been anything from a size 12 to current size 20. My aims with this WOL are to obviously lose weight, about 20-25 kg in all, but to also improve my health status. I am a nurse, and I don’t want to be an overweight elderly patient with diabetes and leg ulcers, like the ones that are filling our hospitals. I started this WOL in January this year…I am a ticketed member of Club Tortoise having lost 6kg to date. A loss is a loss….. Despite initially loving the fact this WOL didn’t include calorie counting I LOVE my MFP to keep an eye on how much I really do eat. It is encouraging at the end of the day to see how much you could weigh in 5 weeks! * 2 x week jog -> Helsinki finally have a parkrun! * be more active on the forum, while I red all the posts I have been to lazy to respond. @ciren2 you helped me catch the wagon last week…I have your seat ready for you to jump back on! @gretta enjoy your wedding in a couple of weeks. Shame we can’t post pics here, would love to see one of you in your dress. @at you are one of my big motivators on this forum! You are always so positive, and offer great advice. Thanks for being you, and Happy Anniversary! @claire Suzanne Happy Birthday! and hope you had a successful first day at your new job. Hope it is better than expected. @badgertastica that 20kg suitcase is ridiculously heavy isn’t it…I don’t want to carry mine around anymore either! Heres to a great November everyone! Today ate some cake and spaghetti with meat sauce at my daughter s home. I cooked fish and bulgur wheat and a blueberry salad. Pleased count me in for the month of November basyjames. Hello. This is my first post. I began today by eating only one meal. I take prednisone and I also take medication for hypothyroidism. I wish everyone well. Setting off to Venice again shortly. Italy is so hard a place to go. The food is so carbtastic and last year I fell badly off the wagon and had lots of Campari spritzers and red wine. NOBODY stocks AF beer, so it’s a revolting NA bitter drink called Crodino which gives you a blasting headache, or water. Mmmmm. Tasty. Anyway, I’m going to try my best to stay on the wagon, and to swerve as many white carbs as I can. Wish me luck. Day 1 Massachusetts USA NFD I probably had more calories today than I’ve had in years. But, I’m maintaining my ideal weight on Maintenance. So I went a little wild. Problem @basyjames, I get a November file on Sheets, but it has all my October info. Can you post the link to the Spreadsheet again? Thank you so much for hosting! Emma Taylor, please let me know how you find Venice. We are visiting week after next but have read there has been serious flooding so many tourist venues closed for a time. Fingers crossed. Good luck with the food there. I’m pre diabetic so my carbs have to be restricted. @mogaman – I found that at the bottom of the spreadsheet document there are 2 pages – October and November. I could click on either one. Hope that helps. 4)curtailing sweets: 6 days/week below 30 gm added sugars, with one real food dessert once a week. @northerndawn Thanks for the encouragement! I feel a little bit better about things today. I think I’ll read “The Fast Diet” again just to reinforce the ideas of this WOL. Lots of posts to catch up on, but checking in. The next 3 weeks are going to be rife with obstacles, and I fear a few skipped FD’s (public holiday next tuesday, and silly me organised a work lunch on my usual FD next monday…grrr). I’m thinking of going for 16:8 on any FD’s I can’t fully fast on, and trying for a CD instead. Realising there would be a few challenges to some of my upcoming FD’s caused a bit of an anxiety spike, but that’s not what this WOL is about, so i’m going to aim for control, moderation, maintenance, and enjoy the next few weeks over the wedding and honeymoon. @Mogaman- It took me a while to find it too. I love filling out my plan for the month! Yeah its Friday! Fasting done for the week and now I can relax as visitors are gone and social commitments are done for the mo. I’ve been on this forum exactly a year and shed a lot of weight in that time. Thanks to you lot out there! @badgertastica – 20kgs is a big achievement – stay here with us to do the rest. And @annemarilyn – you must feel great dropping under 200lbs. I remember doing that and its a fabulous day. Going for my weekly weigh-in in a minute. I skipped last week because we had visitors. I don’t want to do it but will force myself as i can’t succeed on self delusion. If I don’t post the results later then you know it was bad! I’m home from the hospital but quite unwell. Doing wonders for calorie intake but would prefer to feel better. I’ve gone to the spreadsheet that’s titled November 2018. However all the tabs are October so havent entered my NFD/FD. Is there anything I’m doing wrong? THank you. Good FD yesterday and slowly slowly getting back into the 5:2 way. A little half pound loss better than a gain, eh? @annemarilyn Fireworks have only really started for Halloween in the past 10 or so years here where I live. When I was younger there was always a bonfire on Halloween Night and maybe sparklers and bangers…..(fireworks are illegal in the Republic though 😨). I don’t see bonfires anymore. But fireworks have definitely become a tradition now, when the kids have finished trick and treating, the bigger kids and adults set off the fireworks. When I got home on Halloween night there were three separate areas in my small village where fireworks where being set so it was a bit too much. Hello day 2 in NI 1st fast day of the month. I have not planned what I’m going to eat today, never a good idea on FD 😬 . ate twice my TDEE yesterday, so B2B it will be to even out. @coda nice to have you back with us! @judyjudes I’m glad you’re back home again, hope you will feel better soon. @dingping if you speak in a low and calm voice you can ease most human beings and animals. Thanks for the information on Dorothy Bohm’s coming exhibition, I wasn’t allowed to hear the interview but found another interview on youtube, interesting and brave woman. A pity I can’t go to London, DH always wants to go and do a bit of shopping there on our wedding anniverary in December. I always say no thanks, don’t want to fly or go through the tunnel. Ferry takes too much time. @murph58 great idea to change the playroom in a workout room. We also have a workout room, unused atm, becomes more of a clutter room. Plan to workout this month. @annemarilyn had to look up Onederland, couldn’t find the etymology of the word. Would be interesting to know. @kerryn73 there seems to be a way to post pictures, some on another forum use imgur. My technical skills are very poor so don’t know how to use it. @coda its good to have you here. You were hosting when I began 5:2 back in July 2017 and you gave me the encouragement to stick with it for the month…..and I’m still here, now happily in maintenance. Thank you. My 2 FDs are done for this week so I’m going to enjoy healthy choices and a little 🍷until next FD on Monday. Had a successful FD yesterday, and feel good today. Have done an hour of yoga, had a big bowl of vegies for lunch, and there will be no pizza, our usual Friday dinner, today. Although I don’t know is pesto pasta much better calorie wise. A jog planned with my son later this evening to finish off the day! Have a great start to the weekend everyone! The 180’s are nice but I’d like to take a trip to the 70’s. 🙂 Hope this FD day goes good and gets me closer to under that next goal line. Busy as I can be — hope to catch up with posts soon. @songbirdme the cholesterol question is one I would like an answer to because I really enjoy my current LCHF diet, I feel so good on it, and I love my fats! I really don’t want to give them up. DH and I started this diet at about the same time and I am curious to see if it has had the same effect on his labs. My cholesterol level has always been either slightly above or on the high end of normal, his has always been perfect – so… I plan to reduce the amount of saturated fats (sigh for gouda cheese, my new found love) and up the avocado and olive oils usage. @northerndawn thank you for sharing. My HDL is 78 and my Triglycerides are very low, 1/5 normal value, my doc did say that she wasn’t too concerned because the ratios were good. However, she wants a 6 month redraw to make sure it’s not trending up. With regards to the spreadsheet: @annemarilyn thanks for helping @mogaman @shinything thanks for moving the spreadsheets around to make it easier for access and also thanks for highlighting the weekends correctly. Hopefully, everyone is all set with being able to access the spreadsheet to put their info in. My evenings have been crazy lately with doctors appointments for my eldest daughter and I haven’t been able to get to my to-do list. Your choices will either move you towards your goals, or away from them. You have the power. Hello 2nd post – thank you all for the welcome backs 🙂 My mantra this month is I Must keep focused, I must keep focused! So just logging in to keep accountable. I have the power @basyjames! So far so good, cup of coffee and a bowl of homemade vegetable soup and a cup of chicken bovril so far with a boiled egg when I get home if I feel like it = 375. Then I’ll put on a pair of boxing gloves and tape my mouth shut lol. Playing squash with OH tonight so while I may not win I still enjoy playing and it’s bound to use up some further calories. @missybear – I always feel a bit of a fraud, I started these challenges but am still on the road – if there is anything slower than a tortoise I am it lol. Others like yourself have reached your goal and maintaining. I guess it’s my journey and I need to stop comparing and I just guess I have taken the scenic route! Maybe the important bit is I am still here and still trying. It’s only 8 weeks until we set off to NZ – so I want to really keep that in mind with all the temptations that this time of year brings. I am going to join others in dry November – there I said it. I don’t drink a lot but if I have a glass at home I am always looking for something to nibble like cheese or crisps so if I cut out the drink, I cut out the nibbles.